Did you know there are two currencies in Cuba and that your American credit Card won’t be accepted? Or that you need to bring your basics such as toiletries or sunscreen? Visiting the island is an incredible experience, but is not like going to any other country. Take note of these tips for first-time travelers to Cuba that bed and breakfast in Cuba have for you. Before any trip, it’s necessary to do some research to know the basic information about your destination. This Caribbean island is no exception. There is a lot of information online to find out what is Cuba like, what to expect when arriving there, how much cash to take or even how to get online during the trip. Cuba is special and also can be confusing. That’s why we’ll give you these tips, starting from what to do before you even go into the airplane. Since 2015 the United States and Cuba improved their relationship. The next year, commercial airlines were allowed to fly to the island. But still, there are some rules you should know. 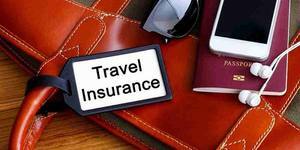 Travelers need to fit into one of the categories regulated by the Office of Foreign Assets Control (OFAC) in order to go to the Caribbean island. Also, travelers can organize their own trip and decide its purpose, for example, humanitarian reasons. They would be asked about it before boarding the plane. Now you can also bring souvenirs from your trip for a maximum value of 400 US dollars. 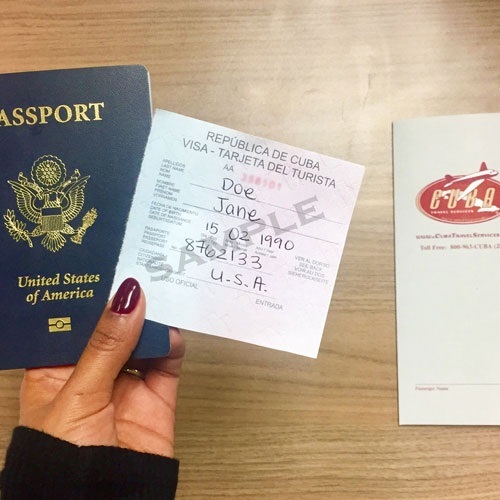 Be aware that there are also visa requirements to enter Cuba. Every tourist who travels to the island needs a travel card (visa). This can be bought at the airline counter before your flight. 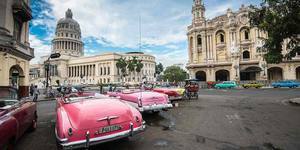 In Havana and the main cities, it is possible to find a Cuban who speaks some English. But outside the tourist areas, they’re more likely to speak just Spanish. Take a time to learn some phrases in this language in order to communicate better. It would be useful to take a cab, to buy a bus ticket, ask for help or to say not to the hustlers politely. Don’t let your first time in Cuba to take you by surprise. It’s not easy to access the Internet on the island, so you won’t be able to explore Google maps to know where you are and what route to take. And there is also the language issue. The solution for this inconvenience is to take a map or a book guide from home. This way would be easier to say a cab driver where you want to go. 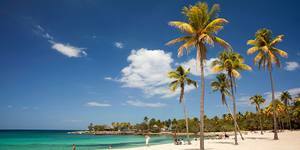 And if you are renting a car to travel around the island it would be indispensable. Another issue in Cuba is the money and options to pay. Don’t assume there would be access to ATMs and American credit cards are not accepted. Even if you have a credit card from another country there is a chance that it won’t work. The best solution is to take enough cash for your trip. However, US Dollar is not the best currency to take to Cuba. You could exchange USD in Cuba, but you will be charged with an expensive tax. Instead, you could take Euro, Mexican Peso or Canadian Dollar, it would be cheaper. These are travel tips for Cuba that you need to keep in mind during your vacations on the island. We already said you need cash. Now, this is not the only issue when it comes about money. There are two currencies in Cuba. The locals use CUP in their daily lives, and the CUC is for tourists. 1 CUC is equivalent to 1 US dollar. And the exchange rate between CUP and CUC is 25:1. You can only exchange CUCs in Cuba. And before leaving the country make sure to exchange back to dollars or other currency. Because it is not allowed to take these banknotes out of Cuba. Hygiene products like shampoo and soap. All medicines that you will need. If you travel with babies bring diapers and milk formula. These things are hard to find on the island. And if you do find them, they could be very expensive. Also, you should find out what not take on a trip to Cuba. For example, as in drugs and weapons are forbidden. There’s going to be people approaching you frequently. They will offer a nice chat a box of “real” Cuban cigar at a very low price, or a better accommodation for you. Be careful because usually, these are just scams. Even a nice conversation could end up with people asking you to give them money or to buy something for them. Scams are common on the island but give them the benefit of the doubt, most people in Cuba are good people. This could happen in the main tourists areas. Like in every famous city in the world some people like to "work" bothering the tourists. A WiFi card costs approximately 1.50 CUC. A single card will give 60 minutes of Internet connection. In every city and town, you’ll find a public WiFi zone where you can use your card. 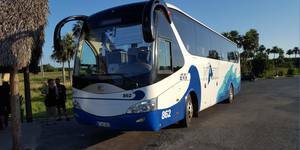 Etecsa is the telecommunications provider in Cuba. On their website, there is a list of public WiFi areas. If you want to make calls from Cuba, it is possible to rent a SIM card. This is a sensitive conversation topic. Our recommendation would be never to start talking about politics. But if a Cuban starts this conversation feel free to share your opinion. This would be a unique opportunity to find out what they think about it. 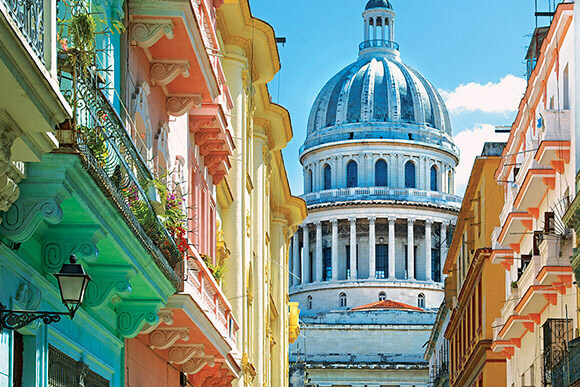 Yes, Havana is a must stop in Cuba. But there is more than that in there. Take a few days to travel around the island and enjoy what it has to offer. Some towns you should go are Vinales, Santiago de Cuba, Cienfuegos, Trinidad, and Varadero. With these tips for first-time travelers to Cuba, your next vacation would be easier. Need accommodation? Our last advice would be to book in a casa particular, it’s cheaper than hotels and you’ll experience the real Cuba. Contact us to find more about it.